Hungry? A new neighborhood Cuban restaurant has you covered. 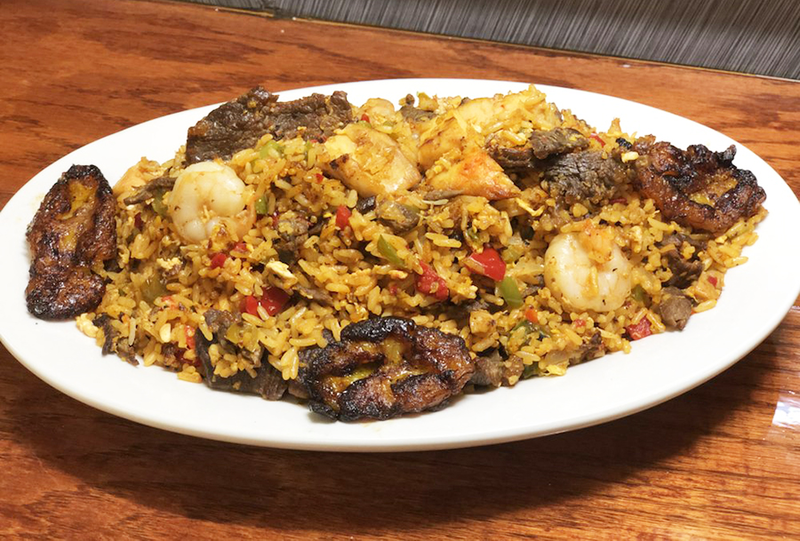 The new addition to the Northwest Side, called Sazon Cubano, is located at 5422 W. Fullerton Ave.
Offerings include breakfast fare, Cuban hot dishes, sandwiches, fried rice and entrees. Notable choices include the Cuban Omelet with ham, three eggs, peppers, onions and diced potatoes with a side of toast; the Cuban Cheese Steak Sandwich with onions, cheese and Cuban dressing; and the Oxtail Stew, cooked low and slow in red wine. Here is the full menu. With a five-star rating out of three reviews on Yelp so far, Sazon Cubano has been warmly received by patrons. Michelle F., who reviewed the new spot on Oct. 10, wrote, "Really delicious food! I have only tried the Cuban sandwiches so far, but the atmosphere of the shop is very clean and sleek and the food is delicious." And Yasmine C. wrote, "I needed a last-minute dinner option after a busy day. This place came up on my Uber eats app, I saw the menu and was immediately intrigued. I had a jibarito and my life has changed -- so delicious and flavorful." Intrigued? Stop in to try it for yourself. Sazon Cubano is open from 7:30 a.m.-8:30 p.m. daily.